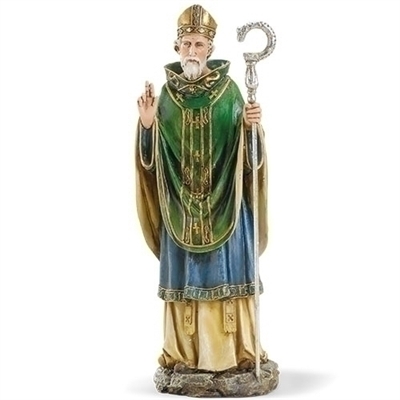 This 10.5" statue of Saint Patrick makes a perfect gift for your Irish Lad or canyone with a devotion to Saint Patrick. This statue is part of the Joseph Studio collection. Comes gift boxed. 3.5" ST VINCENT DEPAUL 4" St. Francis St Michael the Archangel- Bronze 29 Inches ST JUDE 10.5"